Zion is an outdoor cathedral. If silence were deafening, it would be within Zion. Mere photography cannot come close to capturing the majesty that is Zion. It must be visited, experienced, felt. Visited it is. 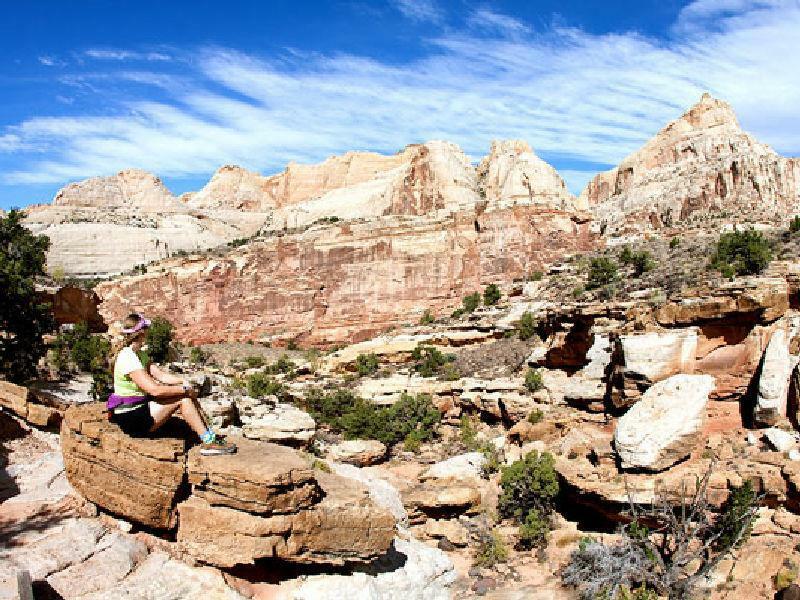 Nearly three million visitors a year make Zion a destination. 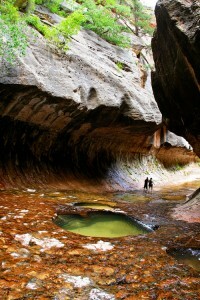 Although sometimes crowded, an efficient, free bus service from the gateway city of Springdale shuttles passengers into the park and up Zion Canyon. And massive it is. Towering monoliths rise from the canyon floor at less than 4000 feet to nearly nine thousand feet above. 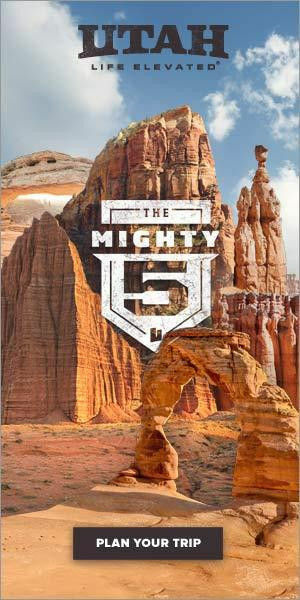 The Watchman, Three Patriarchs, the Temple of Sinawava and many others form the backdrop of Zion National Park. Early morning light on the gigantic red rocks is only matched by the fading glow of sunset, each unique and fascinating. The park has more than a 1,000 species of plants ranging from tall, graceful cottonwoods growing along the river to towering pines and firs shading the higher elevations. Prickly pears, cholla, and yucca are among Zion's desert-adapted plants. The hanging gardens support brilliantly-colored shooting-stars, scarlet monkeyflowers, and Western and golden columbines. Wildlife viewing and birding here is unsurpassed. 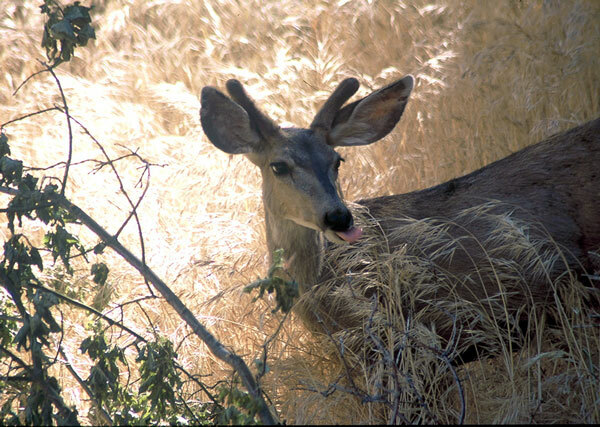 The park's plant communities provide food, shelter, and nesting places for Zion's diverse animal life. There are approximately 67 species of mammals, 29 species of reptiles, 7 species of amphibians, 9 species of fish, and 207 species of birds. Endangered California condors soar above the cliffs of Zion. Bighorn sheep are spotted frequently and the reclusive mountain lion sometimes. A better question, where to begin? 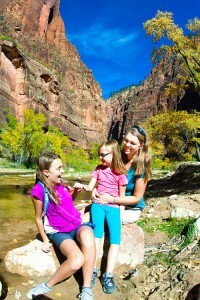 Shuttle busses up Zion Canyon make several stops at trailheads leading to easy walks. One can exit the bus, take a short hike and return to the bus stop and continue up the canyon to the top terminal at the Temple of Sinawava. Here, a boardwalk route parallels up the Virgin River past lovely hanging gardens and springs. A popular pastime is hiking in the river traveling upstream. Sturdy river shoes and a walking stick are recommended. Both can be rented at several outdoor shops in Springdale. If you'd rather pedal, the Pa'rus Trail and Zion Canyon Scenic Drive are accessible to bicycles. The shuttles have bike racks and bicycles can be rented in town. For the brave, Angel's Landing hike is an adrenaline junkie's rush. High above the valley floor, the final portion is on a narrow ledge with cables to grasp for security. Hang on tight! 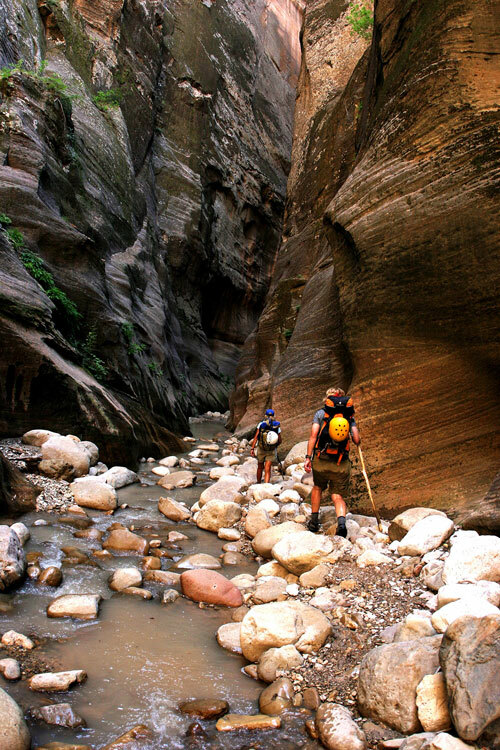 The world famous Virgin Narrows is a full day of strenuous river hiking and is rewarding for its scenic beauty and sense of accomplishment. A vehicle shuttle is required. Zion has a subway, but not like one you'd find in New York or Chicago. The Subway is another full day hike, limited by a lottery, and those fortunate enough to garner a permit will treasure the memory forever. 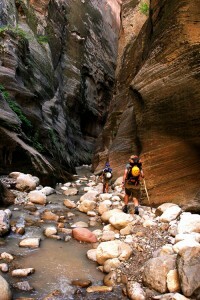 Zion may lead the world in the exciting sport of canyoneering, combining route finding, rappelling, problem solving, swimming, and hiking. With dozens of different canyons to explore, some barely wide enough for a person to squeeze through (think Fat Man's Misery, an actual route) the park offers opportunities that range from trips for beginners to experiences requiring advanced technical skills. Ranger led activities are great for all - youngsters, their parents and grandparents. 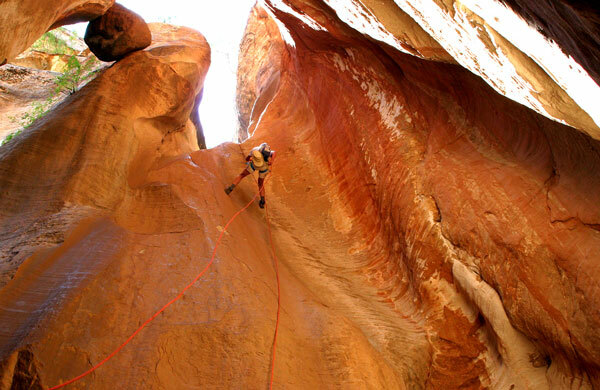 Programs are offered at Zion Canyon and Kolob Canyons from April to November. Topics include geology, plants, animals and human history on guided hikes, patio talks and evening programs. 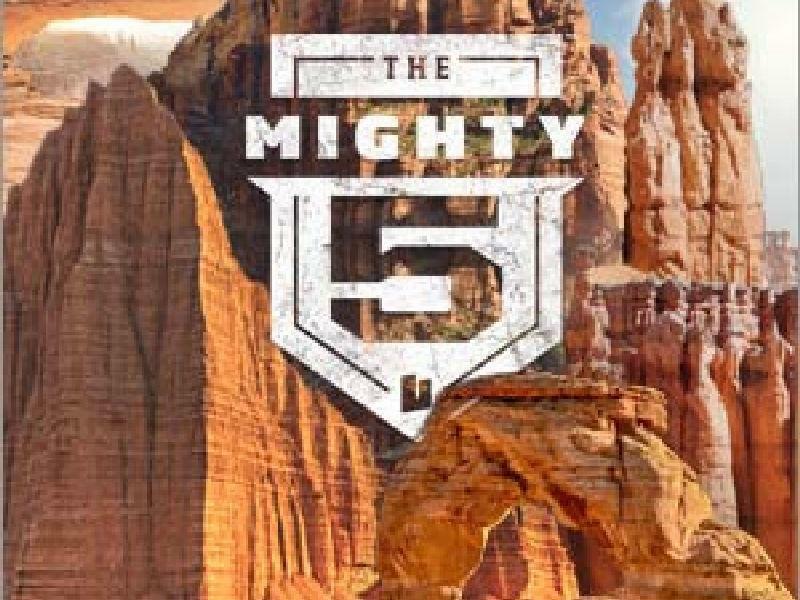 All ranger-led programs are free. Beyond the road, Zion is truly amazing. 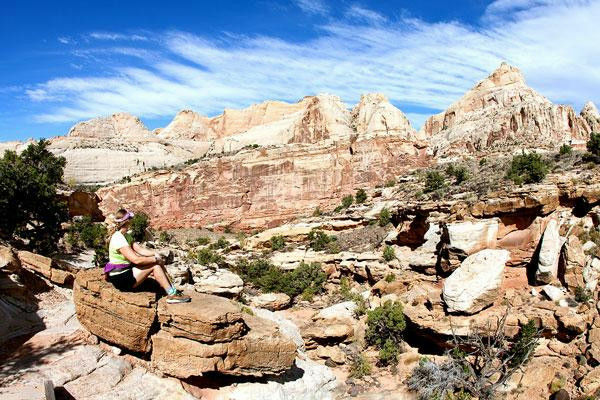 With over 90 miles of trails, 37 designated backpacking sites, several at-large backpacking areas, and 124,400 acres of designated wilderness, Zion National Park offers a variety of unique remote, pristine backcountry opportunities. like Englestead, Heaps and Imlay are extremely difficult, have drops of up to 300 feet and take up to 18 hours to complete. Slightly less advanced are Pine Creek, Behunin and Mystery, with its final rappel down a waterfall into the Virgin River below. There are many routes outside park boundaries of a wide range of difficulty where professional guide services are allowed.